"A hearty soup that will warm you on a cold night." 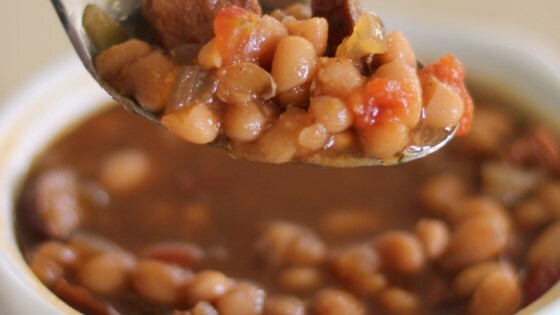 Combine beans, water, tomatoes, onion, celery, garlic, ham, bouillon, Worcestershire sauce, parsley, garlic, and bay leaf in a stock pot; bring to a boil. Lower heat, cover, and simmer for two hours. Add additional water. Season with salt and pepper. Simmer for an additional two hours. Discard bay leaf.